Does Oliver Wyman really offer a “different kind of consulting”? Today, we are digging into a firm that prides itself on its entrepreneurial spirit. Oliver Wyman’s strategy consulting practice has made waves specifically in the financial services sector, and beyond as well. Now a subsidiary of Marsh & McLennan, Oliver Wyman is known to give MMC its strong reputation as experts over other insurance providers because of the firm’s focus on strategy. In 2011, Oliver Wyman ranked 7th in Vault’s Consulting 50 (combining “best to work for” and overall prestige). They have served 1000 Global clients over the past 40 years. Oliver Wyman’s CEO, John Drzik, states that the long-term aspiration is to be recognized widely in the market as the gold standard in consulting. The entrepreneurial spirit is known to have seeped from the firm’s founders straight into today’s colleagues. When seeking new talent, Oliver Wyman’s consulting team says they are looking for employees who are driven, risky, and innovative. Additionally, among the top 10 consulting firms, Oliver Wyman has been the fastest growing over the last 5 years, growth that happened both organically and through an impressive line up of mergers and acquisitions. The firm values a healthy exchange of ideas, teamwork, and mutual respect. This is evidenced by the fact that new hires are welcomed into important projects from day one. Each new hire is positioned and welcomed to become a potential partner, and you won’t even necessarily require any additional degrees to move up the career ladder. Have an upcoming Oliver Wyman interview? Read up on a dark horse in the race for top consulting firms and see for yourself the characteristics that make the firm what it is today. Like Mercer, Oliver Wyman is a subsidiary of parent company Marsh & McLennan Companies, who also own Lippincott, NERA Economic Consulting, and other businesses. Burrows, Marsh & McLennan began in Chicago in 1905 and became the world’s largest insurance agency. Only a year later, they underwent a name change to Marsh & McLennan. They became a public company in 1962, and in 1969, major acquisitions continued to expand the company’s holdings. Oliver Wyman came on the scene in New York in 1984 when a group of entrepreneurs got together to form a 6-person start up. 2 key players were former Booz Allen Hamilton partners, Alex Oliver and Bill Wyman, who creatively (or not so much) named the firm after themselves. Since that time, it has become the fastest growing management consulting firm today. At its start, Oliver Wyman capitalized on the deregulation of the financial services industry. They seized this opportunity to establish a firm that would help firms gain clarity about their business models, products, and clients and then advise them by creating long term strategies. After building a successful model in financial services, Oliver Wyman expanded to offer pure strategy consulting services to non-financial services groups and now has 2 internal divisions that operate relatively independently. In the meantime, Marsh & McLennan was creating Mercer; in 1975, Mercer was developed as the human resources consulting arm of Marsh & McLennan. Marsh & McLennan and Mercer were now functioning as united, but distinct, firms. Mercer took after its parent company and began building and acquiring its own businesses. Oliver Wyman was one of those. In 2003, Mercer bought Oliver Wyman and it became Mercer Oliver Wyman, one of the first in a confusing line of name changes that MMC have tried to untangle over the past few years. Mercer Oliver Wyman continued to focus solely on human resources consulting, but not for long. Mercer (with Oliver Wyman) developed the number of industries served and capabilities expertise, and after a period of exponential growth eventually chose to make Oliver Wyman the catch-all name for anything MMC but non-human resources focused. Oliver Wyman became their own firm again. In short – MMC formed Mercer. Mercer buys Oliver Wyman. They smooshed all operations together into Mercer Oliver Wyman, then pulled them apart again into Mercer Human Resources Consulting and Oliver Wyman (a broad catchall for every other type of MMC consulting services, some of which were originally Mercer, some originally Oliver Wyman, and some Mercer Oliver Wyman). The history entails so many reorganizations and changing of org charts that the archives would confuse even the most intelligent consultants themselves. In 2007, Mercer Oliver Wyman joined with Mercer Management Consulting and Mercer Delta to become Oliver Wyman groups (also includes Lippincott and NERA Economic Consulting). It’s a strong family of companies, albeit with continued naming identity crises that baffle the savviest of branding experts. NERA, focused on microeconomic and macroeconomic analysis, ranked as the #1 economic consulting firm every year between 2009 and 2013 (stay tuned for an upcoming NERA profile). Lippincott, focused on brand management, serves major clients including AOL, Citigroup, Wal-Mart, and McDonald’s. If you recognize any of those brands, which we’re sure you do, it shows what a brand master Lippincott is. Unlike Mercer, which still stands apart from the crowd, applications do get shared between Oliver Wyman, Lippincott, and NERA. To you, the aspiring future consultant, this is a hypothetical advantage but the “ease” is never a replacement for strategic networking within the specific firm – after all, if one firm rejects you, all might do the same unless you do something proactive. In comparison to many strategy consulting firms, Oliver Wyman consultants tend to specialize earlier in their career. This fits hand in hand with their culture of treating new hires as potential Partners, offering them opportunities early on to engage in important projects. Strategy – helps leading enterprises develop, build, and operate strong businesses. Actuarial – works with companies to manage property and casualty, life and annuity, and healthcare risks. Corporate Finance and Restructuring – supports investment decision making through restructuring, mergers and acquisitions, structured finance, project finance, and post-merger integration. Risk Management – assists CFOs and other finance executives on matters of finance and risk, global risk and trading, and compliance and governance. Pricing, Sales, and Marketing – utilizes in depth analysis and scientific experimentation to develop innovative ways to add significant value for leading firms. Sustainability Center – supports leading companies and governments to foster economic growth while encouraging more responsible use of natural resources and environmental protection. Oliver Wyman is located in more than 50 cities and ~25 countries across the Americas, Europe, Asia, and the Middle East. The firm offers consulting services including strategy, operations, risk management, organizational transformation, and leadership development. As we mentioned, Oliver Wyman sees every new hire as a potential Partner. This means that there is more emphasis placed on a 6-9 year Partner path rather than a 2 year analyst program. This is one of the shortest time periods for moving to Partner status. Going from the basement to the penthouse in less than a decade is a common feat at Oliver Wyman. Additionally, a lack of an advanced degree would not knock you off that path (like it would at McKinsey, BCG or Bain). Oliver Wyman values on-the-job, experiential learning just as much (if not more than) a degree earned through a university. However, they have been known to sponsor business schools for high-performing individuals who wish to earn their degree and return to advance in the firm. The firm’s recent cultural changes, identity crises and restructurings have provided a sense of flux not dissimilar to that of a start-up – being adaptable and creative has enabled those willing to go with the flow accelerated opportunity. It’s been the wild west at Oliver Wyman, but things do seem to be settling down into predictable paths. Consultants often join straight out of undergraduate or graduate studies, and there are currently over 350 partners managing sensitive client relationships with C-level executives. In alignment with the Partner path mantra, Oliver Wyman’s career progression and financial rewards are based on an individuals’ abilities and performance. The firm is an excellent launch pad for individuals with an excellent work ethic and aspirations of rapid career growth. However, don’t get too carried away, you creative geniuses – like any global firm, Oliver Wyman maintains processes and procedures to temper anything that is too out-of-the-box, keeping the organization balanced. We recommend them! Internships at Oliver Wyman are definitely worth pursuing and can be great preparation for an MBB internship. Why? They offer in-depth initial training (1 week), the chance to be an active part of projects, and close support from managers. Oliver Wyman actively recruits for internships at target schools, and interns are typically in their junior/penultimate year of university studies. The number of new hires varies based on region, and internships are flexible in time and scope. An internship may run between 2 and 6 months, and the start date is flexible. Typical times for internships are the summer or winter university term. Breaking into an internship from a non-target is extremely challenging at Oliver Wyman. For Consulting roles, Oliver Wyman recruits in 60 top schools all over the world. They look at tier 1 and some select tier 2 universities. All degrees are welcome to apply, but the firm attracts those with a demonstrated interest in banking, finance, and business administration. For anything other than internships, Oliver Wyman is open to off-cycle hires, provided you have demonstrated some brand-name qualification (you went to a target school but took some time to do something else, for example). Find the complete list of their recruiting events here, and go (even if you’re not a current student – but don’t tell them we said that). Working for i-banks or the big guys (McKinsey and Bain) is a great way to launch into private equity, but Oliver Wyman is a close second. For the most part, if not private equity, individuals do end up serving in a financial services organization post-Oliver Wyman or heading off to complete their MBA (and then doing something finance-related). Oliver Wyman employees are known for their passion, work ethic, and solid team efforts. They have been known to reject the “long hours for long hours’ sake” mentality and focus their attention on quality of output, not quantity of input. This focus on efficiency is a major defining characteristic of the high-performance culture at Oliver Wyman. As mentioned, the firm’s entrepreneurial spirit still exists today and the culture is shaped to allow people through all ranks to learn from each other, make the right decisions, and take calculated risks; the hope is that they grow to lead the firm (or client firms) in the future. Soccer teams and other unified firm events might be just a few factors that helped this firm stand as one of the top 10 consulting firms to work for in 2005, 2006, and 2007 by Consulting Magazine. Another factor could be its ability to maintain a high impact and high stakes environment with a friendly atmosphere. The firm doesn’t get the same sort of buzz that an MBB firm would – people don’t get as passionate about the culture, and they’re not the first in the media; however, they recruit from the top schools, do great work, and retain clients. Before you rule them out due to lack of awareness, be sure to look a bit deeper. Oliver Wyman consultants work with clients on site. They like to dig in, shoulder-to-shoulder, to see a project through from start to finish. They combine deep industry knowledge with specialized expertise. They also don’t work on a hierarchical structure. This means that every person has a voice and position titles from different ranks have opportunities to work side-by-side to make a greater impact together. In addition to making impact for clients, Oliver Wyman is continuously implementing ideas from their staff members internally. Whether it’s an online innovation forum or a “green” team focused on environmental stability, Oliver Wyman accepts ideas that build teamwork and creativity and that promote employees living a balanced lifestyle. Oliver Wyman is excellent at mentorship; apprenticeship is at its core. Each new hire is assigned an official advisor (for career questions) and a mentor (for general, more informal counsel). Overall, at Oliver Wyman you’ll find fewer divas per capita than you would at a McKinsey or a Bain, more opportunities for rapid advancement, and a very collaborative client culture. However, you’ll find yourself continuously explaining who you work for and what you do to those outside the industry – the glamour of Oliver Wyman will be lost on all but a choice few industry insiders. Although Oliver Wyman doesn’t require an MBA to move up the ranks to partner, they’re very open to consultants earning advanced degrees. As an Oliver Wyman colleague, you have countless opportunities to continue your education, earn a higher degree, and even take part in language and personal development programs. Sabbatical – unpaid leave of absence for 1-6 months. Non-profit fellowship – a partial pay tenure of 3-6 months to broaden experience and learn new skills. Externship – outside employment of 3-6 months while maintaining relationship with Oliver Wyman. Marsh & McLennan Companies (MMCo) rotation program – rotate to a sister company for 3-6 months. Reduced work week – that explains itself – you guessed it! – work at as low as 60% capacity. Kiva.org – this platform serves as a person-to-person microlending website. Acumen Fund – a global venture fund that leverages entrepreneurial approaches to solve problems of global poverty. Room to Read – a global 501c3 committed to turning the poverty cycle inside out by providing educational resources and opportunities to children in developing countries. Women’s World Banking – across 30 countries, this group of 54 microfinance providers and banks work to bring financial services to poor women entrepreneurs. As we mentioned before, Oliver Wyman is passionate about retention; these choices are excellent tools to both develop well-rounded leaders and to maintain engagement. Interviewing at Oliver Wyman is similar to the most competitive firms; expect the process be rigorous and highly selective. After 2 phone interviews, you’re invited to a final round interview with multiple partners and senior team members. The process can take around 3 weeks, and there is limited room for negotiations. 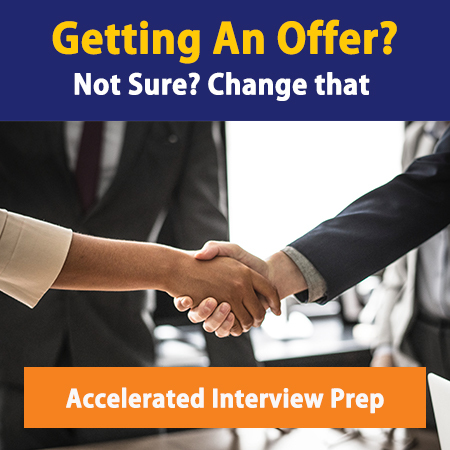 Conversational interviews give you a chance to verbalize your career aspirations (be ready for that fit interview) as well as questions you may have about the firm. Case interviews will put you to the test on your problem solving ability. When you’re preparing, plan for Bain-style interviews – a mixture of candidate-led and interviewer-led problems, with plenty of graphs. In the case interviews, it will be imperative that you know how to break down complex cases into logical steps, and that you reflect interpersonal skills and intellectual curiosity as well as a measure of presence and credibility. Don’t forget to let your personality show through your mathematical discourse and genius insight (easier said than done under pressure, right?). Oliver Wyman is selective, and the firm seeks brilliant people who also fit with their culture. Are you an undergrad, MBA or intern who’s interested in working at Oliver Wyman, but you don’t know how much you’ll make? Check out our latest Management Consulting Salaries post to find out! Find the full list of schools OW recruits from here. From where we stand, Oliver Wyman pulls together best practices from top firms around the world, and provides a specific focus and expertise on the financial services industry, but the firm as a whole is still defining what truly makes it unique. Stay tuned, though – as the dust is settling, we may see this “different kind of consulting” defined with added clarity over the next few years.